Welcome back! So, what’s next? Make sure to complete your post-trip assessment in Moodle so we can continue to improve our programs for future students. Give us a summary or a quote about what you saw and how it changed you! Log in to our site with your Lee password, and there is an option to submit this information once you have completed your trip. If you want to help guide others in learning about taking a cross-cultural experience, contact our office about becoming a Travel Guide. You can serve as a teaching assistant in our LEEU 102A Global Perspectives Seminar class. More information can be found when you login to your application after you return from your trip. 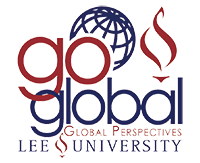 For more information about opportunities for future cross-cultural engagement, check out Get Involved Globally.